I started blogging since 2015 and I also applied AdSense since that time. But for three years, I didn’t get approval from AdSense. I just received rejected email from AdSense. But I revised my website and tried third attempt, and finally I got AdSense approval. I applied twice with the above setting and I got rejected from AdSense. Finally, I started to realize that I need to revisit AdSense guideline before trying next attempt. So I googled around AdSense guideline and found out the official AdSense blog. How did I revised my website? After learning and reading from AdSense blog, I re-structure and revised my website. I submitted my website to Google search console, (I have created sitemap and do proper indexing). I also create google analytics account for this website. Then I applied again to AdSense, while waiting for the result, I tried to get traffic to the site as much as possible. I shared my website post on social media. 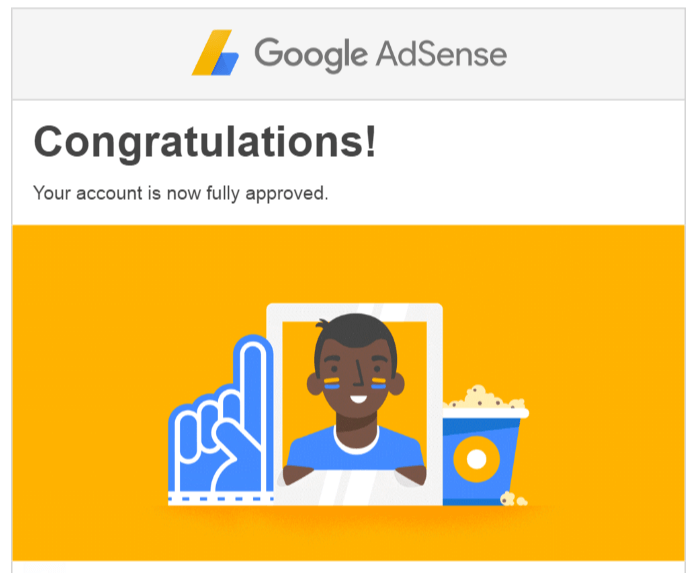 Yayy.. After waiting for 5 days, I got AdSense approval email. So, it is not too difficult to get AdSense approval, you just need to know some tips to get approval. One important thing is “the niche of your site content”. If your niche is already congested on the web, it will be quite difficult to get AdSense approval. So choosing the right niche is also important to get AdSense approval. I may not probably get approval if I apply with this blog as it is focusing on online money making. Online money making topics is already saturated and congested on the web. If you have a question about AdSense approval, please leave a message at comment. I will reply back to you.